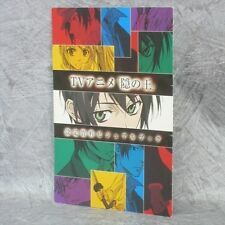 Booklet NABARI NO OU Settei Shiryoshu Visual Book Limited Edition. Book Title. Book - B/C. Used Book x 1. Condition ----- GOOD(A-B-C-D-E)BAD. 31 Pages (No Missing Page). 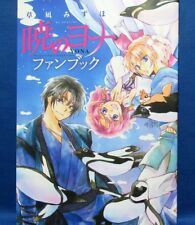 Title : Akatsuki no Yona of the Dawn Art Fan Book. Language : Japanese. This book is a secondhand book. Book Size : Height 8-1/4" ,Width 5-7/8". Condition of Item :NEW. No Missing Page. Book Title. Used Book x 1. Condition ----- GOOD(A-B-C-D-E)BAD. Author : Kokomai. Title : Kani Kani Club Collection. Language : Japanese. This book is a secondhand book. Condition of Jacket :Fine. 80-90%: Fine. Book Size : Height 11-5/8" ,Width 8-1/4". 95-99%: Near Mint. Title : Manga Drawing Textbook. Language : Japanese. This book is a secondhand book. Condition of Jacket :Fine. (New / Excellent / Fine / Good / Poor). Author : Yoshitoki Nakamura. Book Size : Height 10-1/8" ,Width 7-1/4". Author : Mikiyo Tsuda. 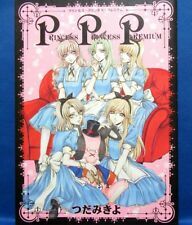 Title : Princess Princess Premium. Language : Japanese. This book is a secondhand book. Condition of Jacket :Fine. 80-90%: Fine. Book Size : Height 10-1/8" ,Width 7-1/4". 95-99%: Near Mint. Title : The Familiar of ZERO Two Moon Knight. Language : Japanese. This book is a secondhand book. Condition of Jacket :Fine. (New / Excellent / Fine / Good / Poor). Book Size : Height 8-1/4" ,Width 11-5/8". Title : Super Sentai Official Visual Book 35th Anniversary. Language : Japanese. This book is a secondhand book. Condition of Jacket :Fine. (New / Excellent / Fine / Good / Poor). Book Size : Height 11-5/8" ,Width 9-1/4". Paperback: 208 pages. International Warranty does not apply to this product. We correspond to it responsibly. 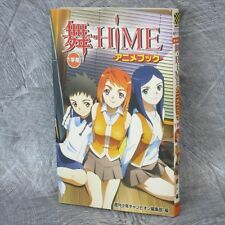 This BOOK is a hard-to-find, rare item, even here in Japan. This is an official product, not bootleg. If you are big fan, DON'T MISS THIS BIG CHANCE ! This is an official product, not bootleg. Printed in Japan. Title : PUSH! Illustration Works. Language : Japanese. This book is a secondhand book. Condition of Jacket :Fine. 80-90%: Fine. 100%. Mint. 95-99%: Near Mint. Author : Akemi Takada. Language : Japanese. This book is a secondhand book. Condition of Jacket :Fine. 80-90%: Fine. Book Size : Height 11-1/4" ,Width 8-1/4". 90-95%: Excellent. 100%. Mint. Author : Yun Kouga. Title : YOUR EYES ONLY. Language : Japanese. This book is a secondhand book. Condition of Jacket :Fine. 80-90%: Fine. Book Size : Height 11-1/4" ,Width 8-5/8". 95-99%: Near Mint. Author : Temari Matsumoto. Title : Hana Temari. Language : Japanese. This book is a secondhand book. Condition of Jacket :Fine. 80-90%: Fine. Book Size : Height 10-1/8" ,Width 8-1/4". 95-99%: Near Mint. Title : CODE GEASS Lelouch of the Rebellion. Language : Japanese. This book is a secondhand book. Condition of Jacket :Fine. Out of print & Hard-to-find! 80-90%: Fine. Book Size : Height 11-5/8" ,Width 8-1/4". Author : Shungiku Nakamura. Title : JYUNJYO ROMANTICA. Language : Japanese. This book is a secondhand book. Condition of Jacket :Fine. 80-90%: Fine. Book Size : Height 11-5/8" ,Width 8-1/4". 90-95%: Excellent. Title : Starry Sky Fan Book 2nd Autumn & Winter. Language : Japanese. Condition of Jacket :Fine. This book is a secondhand book. 80-90%: Fine. Book Size : Height 11-5/8" ,Width 8-1/4". Very Rare Book! Author : Yoshitaka Amano. Title : Mono Shadow of Heroes. Language : Japanese. This book is a secondhand book. Condition of Jacket :Fine. Out of print & Hard-to-find! Book Size : Height 11-5/8" ,Width 8-1/4". Author : Touya Mikanagi. Title : Karnival Parade 1. Language : Japanese. This book is a secondhand book. Condition of Jacket :Fine. 80-90%: Fine. Book Size : Height 11-1/4" ,Width 8-5/8". 90-95%: Excellent. Author : Rui Araizumi. Title : SLAYERS. Language : Japanese. This book is a secondhand book. Condition of Jacket :Fine. 80-90%: Fine. Book Size : Height 11-1/4" ,Width 8-1/4". 90-95%: Excellent. Title : Togainu no Chi Official Visual Fan Book. Language : Japanese. This book is a secondhand book. Condition of Jacket :Fine. 80-90%: Fine. Book Size : Height 11-5/8" ,Width 8-1/4". No Missing Page. Title : How to Draw Manga Action Pose 450 w/CD=ROM. Language : Japanese. This book is a secondhand book. Condition of Jacket :Fine. (New / Excellent / Fine / Good / Poor). Book Size : Height 10-1/8" ,Width 7-1/4". Title : Magical Girl Lyrical Nanoha Strikers Official Fan Book. Language : Japanese. This book is a secondhand book. Condition of Jacket :Fine. 80-90%: Fine. Book Size : Height 11-5/8" ,Width 8-1/4". Language : Japanese. Pages : 120 Pages. Condition of Cover :Fine. This book is a secondhand book. (New / Excellent / Fine / Good / Poor). Book Size : Height 11-1/4" ,Width 8-1/4". Out of print & Hard-to-find! Author : Banri Hidaka. Title : Velvet Blue Rose Illustration Fan Book. Language : Japanese. This book is a secondhand book. Condition of Jacket :Fine. Book Size : Height 8-1/4" ,Width 5-7/8". Condition of Item :Excellent. Language : Japanese. This book is a secondhand book. Condition of Jacket :Fine. 80-90%: Fine. Book Size : Height 11-7/8" ,Width 8-1/2". 95-99%: Near Mint. Language : Japanese. Pages : 120 Pages. This book is a secondhand book. Book Size : Height 11-1/4" ,Width 8-1/4". Condition of Jacket :Fine. Author : Masakazu Katsura. Title : TIGER & BUNNY. Language : Japanese. This book is a secondhand book. Condition of Jacket :Fine. 100%. Mint. 80-90%: Fine. 95-99%: Near Mint. Title : Kuroga. Author : Nanae Chrono. Language : Japanese. This book is a secondhand book. Condition of Item :Fine. Condition of Jacket :Fine. 80-90%: Fine. 100%. Mint. Author : Tsubasa Myohjin. Title : Tsubasa. Language : Japanese. This book is a secondhand book. (New / Excellent / Fine / Good / Poor). Book Size : Height 12" ,Width 8-5/8". Out of print & Hard-to-find! Title : LOVE HONEY! Language : Japanese. This book is a secondhand book. Condition of Jacket :Fine. 80-90%: Fine. Book Size : Height 11-5/8" ,Width 8-1/4". 95-99%: Near Mint. 100%. Mint. Title : Aien Kien. Author : Takada Yuzo. Language : Japanese. This book is a secondhand book. Condition of Item :Fine. Condition of Jacket :Fine. 80-90%: Fine. Book Size : Height 10-5/8" ,Width 9-1/4". Title : Takehiko Inoue Illustrations. Author : Takehiko Inoue. Language : Japanese. This book is a secondhand book. Condition of Jacket :Fine. 80-90%: Fine. Book Size : Height 12" ,Width 8-5/8". 95-99%: Near Mint. Title : La Cerisaie. Author : Izumi Sakurazawa. Language : Japanese. This book is a secondhand book. Condition of Jacket :Fine. 80-90%: Fine. Book Size : Height 11-7/8" ,Width 8-1/2". 90-95%: Excellent. Title : How to Draw Manga Kimono and Dress. Language : Japanese. Condition of Jacket :Fine. This book is a secondhand book. Book Size : Height 10-1/8" ,Width 7-1/4". Pages : 175 Pages. Condition of Item :Excellent. Title : SHUFFLE! Language : Japanese. Book Size : Height 11-5/8" ,Width 8-1/4". This book is a secondhand book. Condition of Jacket :Fine. 80-90%: Fine. Condition of Item :Excellent. Out of print! Author : Matsuri Hino. Title : Vampire Knight. Language : Japanese. This book is a secondhand book. Condition of Jacket :Fine. 80-90%: Fine. Book Size : Height 12" ,Width 8-7/8". 90-95%: Excellent. Title : Amnesia Later Official Visual Fan Book. Language : Japanese. This book is a secondhand book. Condition of Jacket :Fine. 80-90%: Fine. Book Size : Height 11-5/8" ,Width 8-1/4". 95-99%: Near Mint. Author : Kozue Amano. Title : Birth. Language : Japanese. Condition of Case :Fine. This book is a secondhand book. Condition of Cover :Fine. Book Size : Height 11-1/2" ,Width 8-5/8". Pages : 95 Pages. Title : Hanairo sarasa. Author : Akiko Hatsu. Language : Japanese. This book is a secondhand book. Condition of Jacket :Fine. 80-90%: Fine. Book Size : Height 11-5/8" ,Width 8-7/8". 90-95%: Excellent.